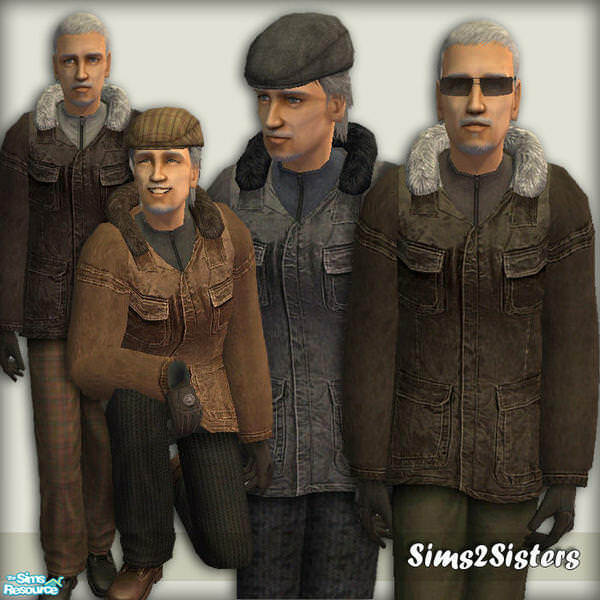 In this section you can find elder male outerwear custom content downloads for The Sims 2. 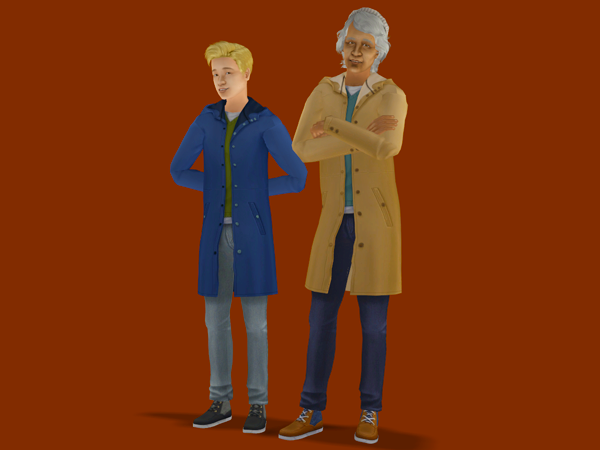 Description: Leather jacket, ripped jeans and boots outerwear. 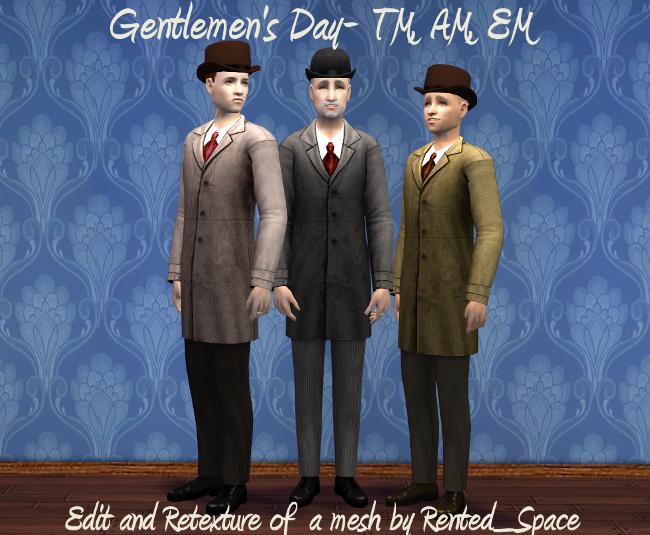 Description: Coat converted from the Sims 4. 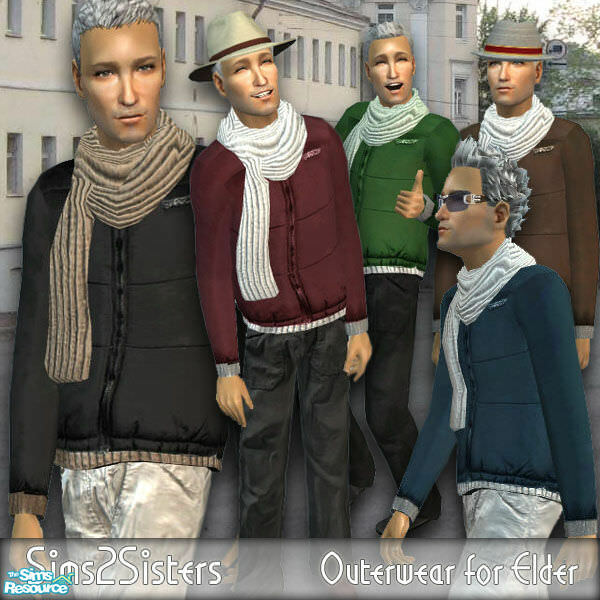 Description: Outerwear in 5 colours. 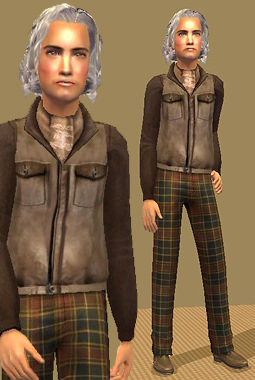 Description: Leather jacket with plaid trousers. 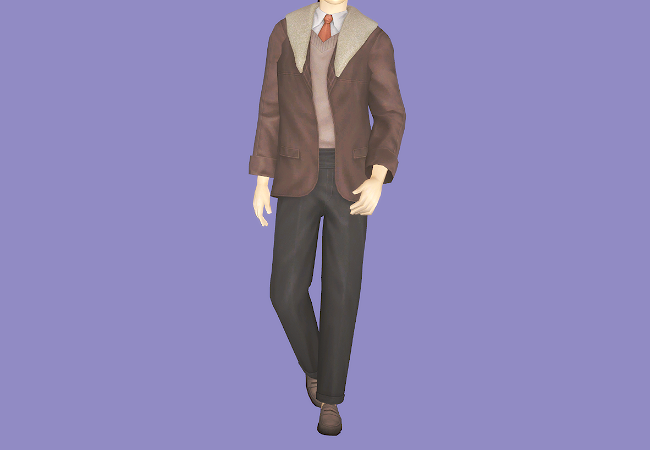 Description: Leather jacket with a shirt and a tie. 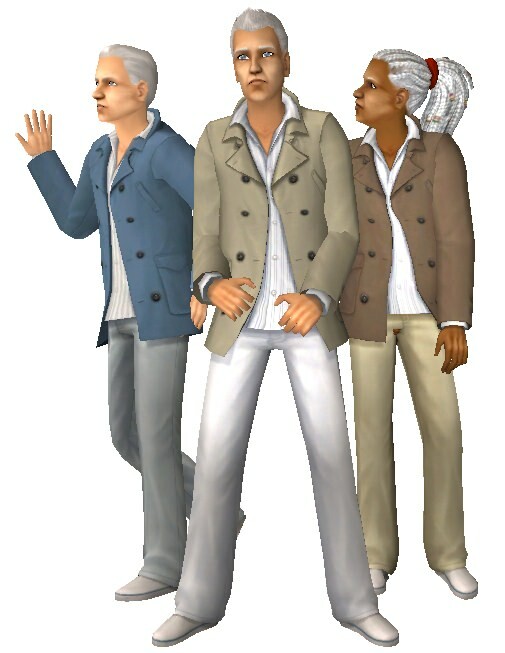 Description: Maxis H&M peacoat converted. 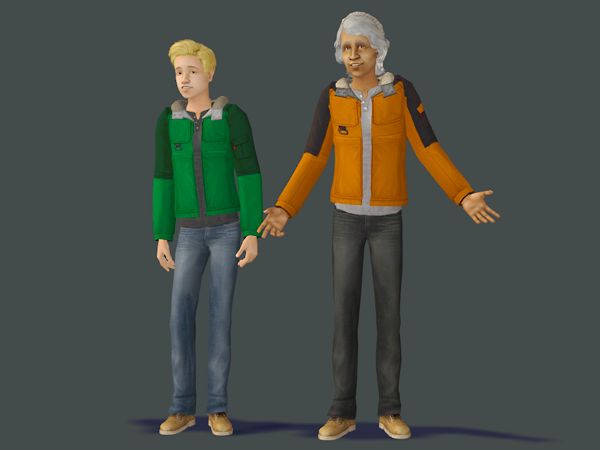 Description: Puffy jacket and scarf.